Details below are information about this item. Features Horizontal Mount, 112.5 Degree each. This light has a modern design and an optimized size that features the latest energy saving LED technology. Starter Type DD. CRUSADER Inboard & Sterndrive 5.0 1983 8cyl 305ci 5.0L. WESTERBEKE Generator Sets 8.0 TWG 1983 4cyl 65.3ci 1.07L Gas. THERMO ELECTRON Engines - Marine Various Models 1983 454 Engine. THERMO ELECTRON Engines - Marine Various Models 1983 350 Engine. MARINER Engines - Marine Outboard 220EFIEXLPTO Magnum 1988 2.3L - 142.2ci - 220 HP. MARINER Engines - Marine Outboard 220EFIEXLPTO Magnum 1987 2.3L - 142.2ci - 220 HP. MARINER Engines - Marine Outboard 220EFIELPTO Magnum 1988 2.3L - 142.2ci - 220 HP. Brief DELCO 10SI TYPE 110. DELCO 1100186. DELCO 1102938. DELCO 1102939. DELCO 1103113. DELCO 1103114. DELCO 1103193. DELCO 1105064. UNITED TECH 4820340-M030SM, SM47764, SM48203. Unit Type Starter. Starter Type PMDD. API MARINE MOT3013. ARCO MARINE 5388. SIERRA MARINE 18-5606. MARINER Engines - Marine Outboard 50ELHPTO 1992 51.8ci - 50 HP. Starter Type PMGR. Item Condition New. OMC Engines - Marine 8.2L 1990 8cyl 502ci 8.2L GM. OMC Engines - Marine 8.2L 1989 8cyl 502ci 8.2L GM. OMC Engines - Marine 8.2L 1988 8cyl 502ci 8.2L GM. OMC Engines - Marine 7.4L 1996 8cyl 454ci 7.4L GM. YAMAHA Tilt & Trim Various Models 1995 40-100 H.P. YAMAHA Tilt & Trim Various Models 1996 40-100 H.P. YAMAHA Tilt & Trim Various Models 1997 40-100 H.P. YAMAHA Tilt & Trim Various Models 2003 40-100 H.P. DELCO 1102938. ARCO MARINE 20104. Brief DELCO 10SI TYPE 110. DELCO 1100186. DELCO 1102939. DELCO 1103113. DELCO 1103114. DELCO 1103193. Brief EVINRUDE / JOHNSON / OMC. OMC 434495, 434496, 438529, 438531. EVINRUDE Tilt & Trim All Models 1991 120 HP. EVINRUDE Tilt & Trim All Models 1991 140 HP. EVINRUDE Tilt & Trim All Models 1992 120 HP. Unit Type Tilt & Trim Motor. Brief TILT MOTOR. API MARINE PT485NMK-3. ARCO MARINE 6279. SIERRA MARINE 18-6774. Item Condition New. J & N 430-20026. Item Number: 10822CSM. LESTER 10822CSM. WAI 10822CSM. TILT MOTOR PUMP & RESERVOIR PLUS SOLENOIDS WIRING FOR MOUNTING ON THE SIDE HULL. Unit Type Tilt & Trim Motor. Item Condition New. ARROWHEAD TRM0068. YANMAR Engines - Industrial 3GM 81-On. YANMAR Engines - Marine 3GM30 82-On 3cyl Diesel. YANMAR Engines - Marine 3GMD 82-On 3cyl Diesel. YANMAR Engines - Marine 3GMF 82-On 3cyl Diesel. Brief YANMAR DIESEL ENGINES. OMC 172655, 172850, 173596. ARCO MARINE 6208. EVINRUDE Tilt & Trim All Models All V4. Unit Type Tilt & Trim Motor. JOHNSON Tilt & Trim All Models All V4. Brief TILT MOTOR AND RESERVOIR. OMC Tilt & Trim All Models All V4. OMC 982957, 983195. OMC Tilt & Trim All Models 1975 175 H.P. OMC Tilt & Trim All Models 1975 190 H.P. OMC Tilt & Trim All Models 1975 235 H.P. OMC Tilt & Trim All Models 1976 175 H.P. OMC Tilt & Trim All Models 1976 190 H.P. ARCO MARINE 6255. Unit Type Tilt & Trim Motor. Item Condition New. PROTORQUE PH200-T002. LESTER 10828. EMP PARTS 4-6286. SUZUKI Engines - Marine Outboard DT200AEL 1987 164.3ci - 200HP. SUZUKI Engines - Marine Outboard DT200AEX 1987 164.3ci - 200HP. SUZUKI Engines - Marine Outboard DT200TCL EFI 2000 164.3ci - 200HP. SUZUKI Engines - Marine Outboard DT200TCL EFI 1997 164.3ci - 200HP. CHRYSLER Engines - Marine Outboard Various Models 1964 45 / 50 H.P. CHRYSLER Engines - Marine Outboard Various Models 1965 45 / 50 H.P. CHRYSLER Engines - Marine Outboard Various Models 1966 45 / 50 H.P. Brief Stainless Steel Mounting Bracket. SIERRA MARINE 18-6750. Part Type BRACKET - ALT. EMP PARTS 4-6750. ARROWHEAD TRM9500. ARCO MARINE 20810. Unit Type Alternator. API MARINE 20110. SIERRA MARINE 18-5983. Item Condition New. J & N 400-12152, 400-12296. EMP PARTS 4-5983. DELCO 19020600, 19020604. MARINER Engines - Marine Outboard 30E 4-Stroke 1999 45.6ci - 30 HP. MARINER Engines - Marine Outboard 30E 4-Stroke 2000 45.6ci - 30 HP. MARINER Engines - Marine Outboard 30E 4-Stroke 2001 45.6ci - 30 HP. Amperage 105. Brief MARINE APPLICATIONS. WAI 7152CN-94A. LESTER 7152-105C. EMP PARTS 4-6842. ARROWHEAD ADR0334-C. Replaces these part numbers Item Condition New. Rotation CCW. CRUSADER RA122009. CRUSADER Inboard & Sterndrive 5.0 1999 8cyl 305ci 5.0L. CRUSADER Inboard & Sterndrive 5.0 2000 8cyl 305ci 5.0L. CRUSADER Inboard & Sterndrive 5.0 2001 8cyl 305ci 5.0L. MARINER Engines - Marine Outboard 135CXL DFI / Optimax 1998 2.5L - 153.0ci - 135 HP. MARINER Engines - Marine Outboard 135CXL DFI / Optimax 1999 2.5L - 153.0ci - 135 HP. MARINER Engines - Marine Outboard 135L DFI / Optimax 1998 2.5L - 153.0ci - 135 HP. Item Number: 3138. LESTER 3138, 3144. Rotation CCW. Unit Type Starter. Starter Type DD. Brief MARINE APPLICATIONS WITH FORD ENGINES. FORD Engines - Marine Various Models All Ford Engines. API MARINE 10032LH, ST32LH. Unit Type Alternator. Regulator IR. LESTER 12347. EMP PARTS 4-6844. PRESTOLITE EVH4002. VOLVO PENTA 852928. VOLVO PENTA Tilt & Trim All Models All Various. Unit Type Tilt & Trim Motor. Brief TILT MOTOR AND RESERVOIR. Item Condition New. SIERRA MARINE 18-6274. LESTER 10813A. MARINER Engines - Marine Outboard 75ELHPT 4-Stroke 2000 84.6ci - 75 HP. MARINER Engines - Marine Outboard 75ELHPT 4-Stroke 2001 84.6ci - 75 HP. MARINER Engines - Marine Outboard 90ELHPT 4-Stroke 2000 1.6L - 97.4ci - 90 HP. NISSAN Engines - Marine Outboard NSF8 2005 8HP 4-Stroke. NISSAN Engines - Marine Outboard NSF9.8 2005 9.8HP 4-Stroke. TOHATSU Engines - Marine Outboard MFS8 2005 8HP 4-Stroke. TOHATSU Engines - Marine Outboard MFS9.8 2005 9.8HP 4-Stroke. POWER POLE Tilt & Trim Sportsman All Various. Brief POWER POLE SPORTSMAN. Unit Type Tilt & Trim Motor. POWER POLE Pump SPN-F. Item Number: Pump SPN-F. Item Condition New. ARROWHEAD TRM0089. KAWASAKI Personal Watercraft (PWC) JS400 1976 400cc. KAWASAKI Personal Watercraft (PWC) JS440 1977 440cc. KAWASAKI Personal Watercraft (PWC) JS440 1978 440cc. KAWASAKI Personal Watercraft (PWC) JS440 1979 440cc. Item Number: 10831. LESTER 10831. Unit Type Tilt & Trim Motor. Brief TILT MOTOR. FOR YAMAHA 225-250HP O/B. YAMAHA 61A-43880-01-00, 61A-43880-02-00. Item Condition New. J & N 430-22080. API MARINE PT495NK, PT495NK-3. FORCE Tilt & Trim All Models All Assy 824051. Item Number: 10821. LESTER 10821. Unit Type Tilt & Trim Motor. Brief TILT MOTOR AND RESERVOIR. 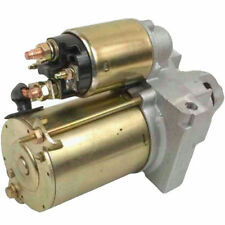 SIERRA MARINE 18-6775 (MOTOR), 18-6784 (KIT). Unit Type Starter. Starter Type PMGR. API MARINE MOT3020. ARCO MARINE 5400. SIERRA MARINE 18-6440. 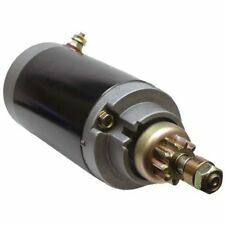 API MARINE PT626NM, PT627NM. YAMAHA Tilt & Trim F75, F90 2005 75, 90 H.P. YAMAHA Tilt & Trim F75, F90 2006 75, 90 H.P. YAMAHA Tilt & Trim F75, F90 2007 75, 90 H.P. YAMAHA Tilt & Trim F75, F90 2008 75, 90 H.P. Unit Type Tilt & Trim Motor. FORCE Tilt & Trim All Models All 30-125 H.P. FORCE Tilt & Trim All Models All 50-125 H.P. Item Condition New. SIERRA MARINE 18-6777. Item Number: 10827. LESTER 10827, 10850. Unit Type Starter. Starter Type PMDD. API MARINE 50-38890, MOT3001. ARCO MARINE 5366. SIERRA MARINE 18-5601, 18-5641. Horizontal mount green starboard and red portside LED nagivation light in high impact ABS plastic white housing. Material: ABS PLASTIC Housing Color: White LED Quantity/Type 0.5W LED LED Color: Red / Green Working Voltage: 8-30V DC Wattage: 1 W Beam Angle: 112.5 degrees LED Life Time: 50000 hrs Visibility 2 Nautical Mile IP Rating 67 Size 63.7mm(W) x 89.4mm (L) x 41.8mm (Thick) Item: P00081LD & P00082LD Pactrade Marine is a US based distributor of marine and RV lighting and accessories. We strive to provide our customers with the best products and customer service. Copyright © 2014 Pactrade Marine. Unit Type Tilt & Trim Motor. Item Condition New. SIERRA MARINE 18-6753. EMP PARTS 4-6753. ARROWHEAD TRM0101. Replaces these part numbers. Brief MARINE APPLICATIONS 85 HP FORCE ENGINE. CHRYSLER Engines - Marine Outboard Various Models 1967 105 H.P. CHRYSLER Engines - Marine Outboard Various Models 1967 70 H.P. CHRYSLER Engines - Marine Outboard Various Models 1967 75 H.P. Details listed below are information regarding this item Flush Mount. All Marine's product has a One-Year Limited Product Warranty. LED Color/ Number. LED Beam Angle. Any item with no original box. EVINRUDE Engines - Marine Outboard E140 (Older Models) 1977 1.6L-99.6ci-140 HP. EVINRUDE Engines - Marine Outboard E140 (Older Models) 1978 1.6L-99.6ci-140 HP. EVINRUDE Engines - Marine Outboard E110TL 1988 1.6L-99.6ci-110 HP. Unit Type Tilt & Trim Motor. WAI 10815AN. SIERRA MARINE 18-6757. YAMAHA Tilt & Trim F75, F90 2003 75, 90 H.P. YAMAHA Tilt & Trim F75, F90 2004 75, 90 H.P. Brief YAMAHA F75 2003-04. YAMAHA F90 2003-04. YAMAHA F80 1999-03. YAMAHA Tilt & Trim F80, F100 1999 80, 100 H.P. Unit Type Tilt & Trim Motor. Item Condition New. SIERRA MARINE 18-6273-1. Item Number: 10815P.